If you are looking for a tried and tested, truly stealthy device that fits discretely in the palm of your hand, Aspire's new K1 Stealth is just what you’re looking for. Introducing the Aspire K1 Stealth Kit, a newly designed mod with a built-in 1000mAh battery and the tried and tested K1 plus tank, combined to give users a new experience in stealth vaping. Aspire's K1 Stealth kit comes with well-placed cut-outs enabling you to see, at a glance, the e-liquid level in the K1 plus tank. 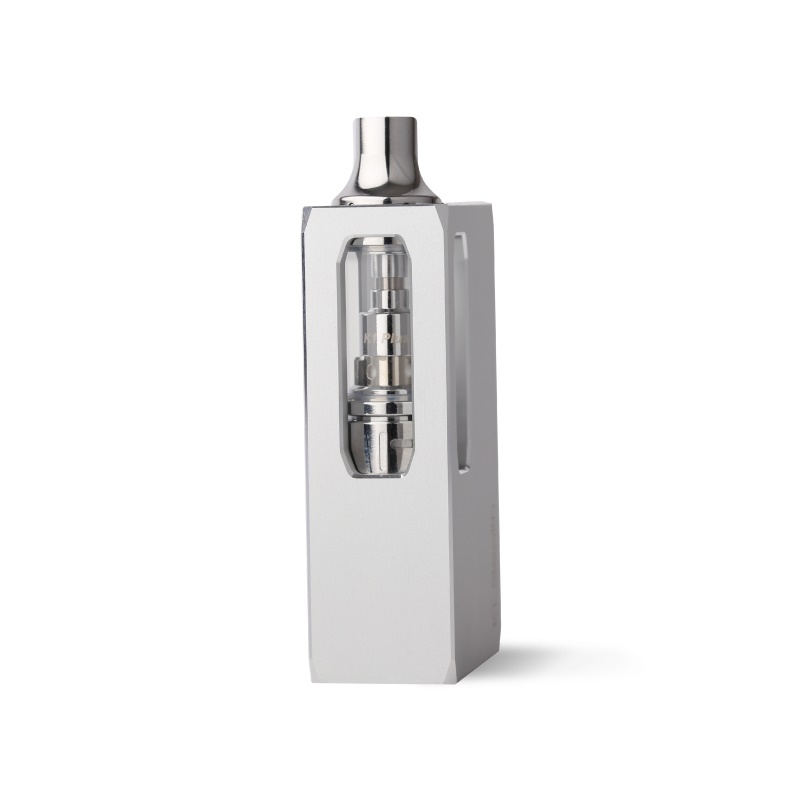 It comes equipped with three wattage settings allowing the user to choose and output of 8, 10, or 12 watts depending on the preference for a warmer or cooler vape. Filling the K1 plus tank is easy, just three steps. First, unscrew to remove the drip tip from the tank, by pushing down and turn to unscrew. Then add your preferred e-liquid by pushing the tip of your filling bottle through the filling hole. Finally, put the drip tip back on top of the tank, remembering to push down and turn when replacing the drip tip. Press the bottom mode button twice in rapid succession to adjust the output wattage. The bottom wattage lights will turn on to indicate the level of the output wattage. One light is 8W, two lights is 10W and all three lights lit is 12W. You can charge this mod using the supplied USB charging cable, and plugged into a 5v 1A USB. Most common USBs can be found on computers and laptops or Aspires wall adapter found HERE . Other brand USB adapters or mobile phone/ tablet adapters must NOT be used. When the USB cable is attached, the indicator light will flash red 3 times. While charging the indicator light will indicate the device’s current charge status: 3.5 volts or less= red light; 3.5 to 3.8 volts= blue light; 3.8 volts and above =green light. When the device is fully charged, the indicator light will flash green 20 times then remain off. When unplug the USB cable, the indicator light will flash green 3 times.